How to Choose a Web Host in Ireland | Host.ie - Linux Hosting packages for all your Irish web hosting needs. Figuring out how to choose a web host is similar to finding the perfect home. You need to factor in a bunch of decisions in order to make the right choice. You don’t even need to find web hosting in Ireland, there are literally hundreds to choose from worldwide. But there are reasons why an Irish hosting provider could be the right choice for your company. To help you make the right decision for your needs, keep reading. We’re helping you determine why Irish web hosting is the best choice for you. There are several factors you need to weigh into your decision-making process. Finding the right Irish web host is easy once you know exactly what you need. As you consider each of these factors, you also need to take a look at where you are now in your process. If you’re building a site for business purposes, you also need to factor in whether or not the Irish hosting provider allows for scalability. Your first task is to determine exactly what your needs are. Some people might just want to have a personal website to share updates on their children or travels. This type of website is fairly simple and the goal isn’t to profit from it. However, if you own a business, having extra bells and whistles may be exactly what your site needs in order to grow your business. Then again, your business may not be at the level where you can afford the bells and whistles. Don’t forget that different types of sites like WordPress, static HTML or Ghost all have different technical requirements in a web host. You’ll need to determine how your site will be built prior to signing with any web hosting company. Don’t go crazy about determining the budget. It doesn’t need to be exact, you really just need a ballpark idea of how much you can afford to spend on hosting. Most web hosting companies offer pricing tiers for different types of hosting. It’s easier to choose a lower hosting plan and move up if your needs change. While a free hosting site might look great to you, free doesn’t necessarily mean better. Usually, you’re trading convenience and savings for fewer features and a lack of support and more importantly, security. Also, while you can design your own site, you aren’t entitled to your own domain name. Upgrading to a paid level will give you access to e-mail, domain, the latest apps, and eCommerce possibilities. If you need services like a domain name registration, plugins or themes, consider upgrading to a paid site. Usually, they only cost a few dollars per month. Also, many hosts give you a deal if you sign up for a year or longer. 2.7 seconds is all it takes for most people to get bored waiting for a website to load. After that, they’ll find another site that loads quickly. And the bigger your website is, the more information you’ll have on it. That slows down your website. Photos and videos also contribute to your slowing down your website loading times. If you’re trying to attract people to your site and get them to stay, you must find an Irish web host who can ensure your data speeds will always be lightning quick. Also, an Irish hosting provider can help ensure you have the highest speeds possible. Since data travels from your server along wires to the device of the person accessing it, the longer it has to travel, the slower the speed is. If you’re targeting Irish customers, you’ll want an Irish web hosting company to ensure your information is delivered as quickly as possible. Even if your plan is to start a cooking blog that you’re only planning to share with friends and family, your website is at risk of being hacked. And yes, it can cause you a lot of very expensive and time-consuming problems. A recent report showed that more than 10pc of Irish businesses have been victims of cybercriminal activity. As a result, they each lost more than four million Euros. The worst part is, that you probably won’t even know you’ve been hacked until six months later or longer. Then you’re left with cleaning up a very large problem. Protect yourself by ensuring that your Irish web host puts your security first. Make sure you have great cybersecurity protection. It’s also a smart idea to learn how you can further protect yourself from a cyber attack. Look for a provider that includes firewalls, monitoring services, and offers other security add-ons. It’s even better if they offer automatic backups and hands-free WordPress updates. Let’s say your website is attacked and goes down. Not only are you losing out on business and revenue, but you’ve also lost all the information on your site. Unless your Irish hosting provider has disaster recovery or you’ve backed up your own website, that information could be lost forever. That means building an entirely new site from scratch. And you lose all the data your website captures such as bounce rates and end rates. This vital information is what helps you determine how to market to your customers online for best results. Luckily for you, Host.ie has recovery down pat, just open a ticket. When you think of Ireland and the weather, most people think of lots and lots of rain. And while it’s true that there is a lot of rain and a few big storms from time to time, but compared to other places, Irish weather is tame. And bad weather can cause a lot of problems with your website. There are the physical hardware and wires but the power supplies that serve them are also affected by the weather. Hurricanes, tsunamis, earthquakes, mudslides, and other natural disasters can affect your website. Compared to other places in the world, Ireland has great weather for web hosting. Every web hosting company has to schedule maintenance time to help ensure that your website is always running smoothly. That’s when they’ll make all the updates to security, etc. During these maintenance periods, your website won’t be running as smoothly as it usually is. For that reason, web hosting companies tend to do their maintenance during off-hours. Which is why an Irish web host is a good idea, especially if your business is also located in Ireland. The carefully structured maintenance schedules are based on Irish business hours. You won’t have to worry about your site being affected during busy hours. 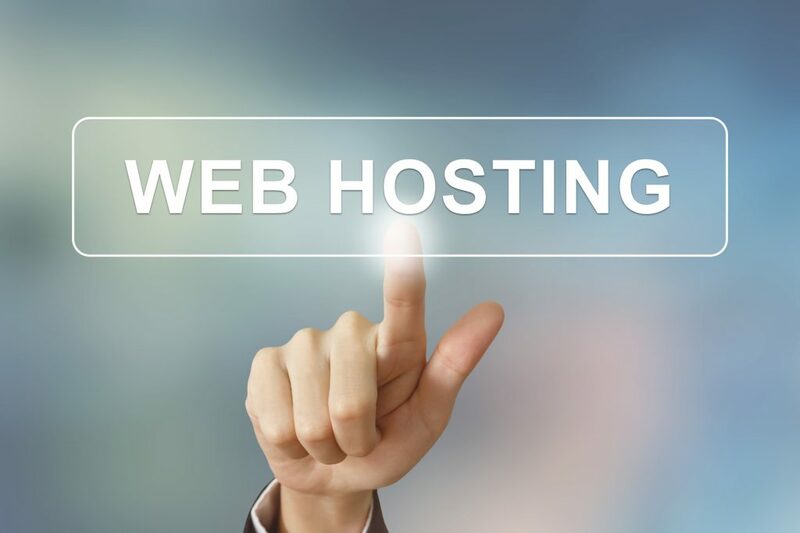 However, if you choose a web hosting company located elsewhere, you run the risk of your website going through maintenance at the exact time your website is receiving it’s highest traffic. That’s a risk that could cost you business and revenue. SEO is how people find you on the internet. You can use both paid and free SEO strategies. The more you use SEO on your website, the more likely people and search engines will find you. And while most of the SEO you use doesn’t have anything to do with your web hosting company, some of it does. Your domain name is an important part of SEO. A paid site entitles you to a domain name. Having a great name will attract customers to your site. There’s also a reason to choose an Irish web hosting company, especially if you’re doing business in Ireland. Search engines consider the IP address of the servers where your site is hosted. This happens every time the internet returns search results. As a result, every time a customer located in Ireland does a search on the internet, your website will be shown to them ahead of your competitor’s who chose to use a web hosting company located in another country, like Australia. Good customer support is vital to your website’s success. It’s a smart idea to choose an Irish web host because you’re always in the same time zone as they are. Being in the same time zone means you’re more likely to have your support tickets answered promptly. This allows you to deal with any problems with only minor delays. However, if you choose a web hosting company located overseas, you’ll have to contend with different time zones and longer wait times, especially if they outsource their customer support. Learning how to choose a web host doesn’t need to be hard. Yes, it’s technical and the terms can be daunting, but with the right help, you can have your new website up and running in no time. Make sure you work with an Irish web host who has your best interests at heart. We’re focused on making sure your website stays safe and gets noticed. Click here to learn about our hosting plans.